ESA are pleased to announce a 3 day weekend marathon at the end of November in aid of The Movember Foundation, the global men’s health charity. Unlike usual ESA events, this is an online marathon where most of the runs will be performed from home. ESA Movember will be an online marathon with a twist, we’ll be presenting the whole event from our arena in Växjö with on site hosts and incentives! Furthermore alongside the marathon we will be hosting a meetup for our regular attendees in the arena, for some chill time with old friends and playing arcades. This event will however be ‘bigger than a marathon’, and truly in the spirit of the month of Movember. During November we ask that all accepted runners organise some sort of personal fundraising, either through their stream or personal and work circles. The format and length is up to you. We will be able to keep a track of your total through a special tracker we will set up! It has been a little while since ESA has ‘broken the mould’ of marathons. Men are less likely to go to the doctor when they are ill, or suspect they might be. This can be anything from bottling up depression, retiring from gaming due to carpal tunnel, or missing the signs of testicular cancer. We want to take this chance to raise awareness of these issues not just within our community, but also the support network of hundreds of fans, friends and family behind every great speedrunner. The marathon will take place on the ESA channel, http://twitch.tv/esa, and will be hosted from the ESA Arena in Växjö. Anyone who attends our arena meetup, in any capacity, will be able to exhibit their run during the event from the arena itself. Movember fundraising streams can be run at any time during the month of November, to suit the schedule of individual runners. ESA invites submissions from all speedrunners and score-attackers from around the world! The stream will take place in English and if it would benefit your run, we welcome a co-commentator via discord. > Runners must be able to stream to Twitch at minimum 2.5Mbit, desired 6Mbit. > During each run, video and audio will be captured from the individual’s stream. We encourage as a part of this event further ‘mini meetups’ amongst friendship groups. Any group that arranges a mini meetup will be scheduled to do their runs together as a block. 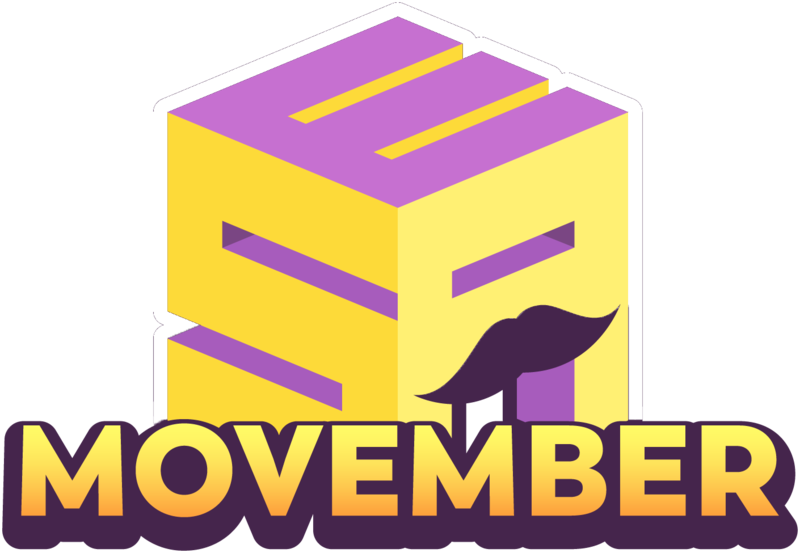 To this end, we are working together with MrMeanMoustache’s Movember Speedrunning Mo-ments marathon that is running two weeks before ours, to show off the best talent and raise even more for the cause. We encourage all runners to submit to both marathons!